Efficacy and Safety of Ashitaba (Angelica keiskei) on the Patients and Candidates with Metabolic Syndrome: A Pilot Study Hiromu OHNOGI*, Shoko HAYAMI, Yoko KUDO, Tatsuji ENOKI TAKARA BIO INC.
“Ashitaba” (Angelica keiskei) is a tra-ditional vegetable unique to Japan. Ashitaba contains an abundance of vitamins, dietary fiber and polyphenols such as chalcones. We previously reported anti-diabetic behavior of chalcones from Ashitaba. In this study, we evaluated the efficacy and safety of Ashitaba on patients and candidates with MetS. Nine adult subjects defined as patients and candidates with MetS ingested Ash-itaba green juice (6.2 g/day of granulated pow-der containing 12.3 mg chalcones) for 8 weeks. For evaluation of efficacy, abdominal fat area, body weight, body fat and blood parameters were measured. For evaluation of safety, blood chemistry analysis, hematological analysis and urinalysis were conducted. Ingestion of Ashitaba green juice for 8 weeks significantly decreased visceral fat area, body weight, BMI and body fat, respectively. There were no adverse clinical changes in blood analysis and urinary analysis, and no serious symptom was observed. These results indicate that it is possible that Ashitaba is a useful and safe food-stuff for the prevention of MetS. Metabolic syndrome (MetS) is characterized as a cluster of risk factors of cardiovascular disease (CVD) including visceral obesity, hyperglycemia, hypertension and dyslipidemia1,2). In Japan, CVD is a major cause of mortality next to cancer and accounts for almost 25% of all deaths. According to the national health and nutrition survey by the Ministry of Health, Labor and Welfare of Japan, 50% of men and 20% of women aged 40–74 years are patients or candidates with MetS (https://www.mhlw.go.jp/houdou/2009/11/dl/h1109-1b.pdf). It is well known that dietary intervention and moderate exercise are effective for the prevention or the treatment of MetS. However, these lifestyle modifications are difficult to continue and are often neglected. Recently, it was indicated that Japanese tradi-tional foodstuff such as green tea, soybean and seaweed were effective for preventing and ameliorating obesity, diabetes and dyslipidemia3–5). “Ashitaba” (Angelica keiskei, Umbelliferae) is a traditional vegetable unique to Japan (Fig. 1). Ashitaba has long been considered a folk remedy, used as a diuretic, laxative, analeptic and galactagogue in the Izu islands for a long time6). Nowa-days, fresh leaves of Ashitaba are widely used for green juice and health-promoting food in Japan. Ashitaba contains an abundance of nutrients such as vitamin A, vitamin K, minerals and dietary fiber. Further, it was reported that Ashitaba con-tained chalcones (a kind of polyphenol) and coumarins7–11). Chalcones from Ashitaba showed multiple behaviors such as anti-bacterial12), anti-influenza13), anti-cancer14,15), anti-tumor promoting16), anti-oxidant11), anti-inflammatory17), anti-ulcer18) and artery relaxation19) actions. Our previous studies indicated that xanthoangelol (XA) and 4-hydroxyderricin (4HD), major chalcones from Ashitaba, exhibited insulin-like behaviors and ameliorated hyperglycemia in KK-Ay type II diabetic mice20,21). Further, we reported that long-term inges-tion of Ashitaba green juice reduced HbA1c level and increased serum level of adiponectin, an anti-MetS hormone, on borderline and mild diabetes22). These findings suggest that Ashitaba may be useful for prevention and treatment of MetS, but little is known with regard to the effect of Ashitaba on MetS. In this study, we evaluated the efficacy and safety of Ashitaba on patients and candidates with MetS. Ashitaba was cultivated and harvested on Kagoshima Pre-fecture in Japan. Dried leaves and stems were powdered and granulated with dextrin by spray drying. The 100 g granules contained 302 kcal, 34.8 g dietary fiber, 34.3 g carbohydrate, 14.0 g protein, 4.9 g fat, 132 mg Na and 198.7 mg chalcones (134.5 mg XA and 64.2 mg 4HD). Granules were packaged in sealed plastic bags (3.1 g per pack) as test samples. Japanese adult subjects (7 male, 2 female) were screened according to the following criteria. At the point of screening, all subjects provided written informed consent and were given a full explanation about procedures, test samples and their right to resign. This study was designed as an open label pilot study. Two weeks after screening, subjects ingested 2 packs of test samples per day with water (one at breakfast or lunch and one at supper) for 8 weeks. The dose of the test sample (6.2 g granules con-taining 12.3 mg chalcones) was designed according to the results in our previous report22). Subjects were visited each 4 week-period for collection of blood and urine samples, mea-surement of physical parameters and medical history review. Subjects were requested not to change daily lifestyle habits such as exercise, dietary habits, dinking alcohol and smoking during the test period. The study was performed in accordance with the Declaration of Helsinki and was approved by the Ethical committee of the Soujinkai Mareesia Garden Clinic (Tokyo, Japan). For evaluation of efficacy, abdominal fat area (visceral fat area; VFA, subcutaneous fat area; SFA and total fat area; TFA) was measured by CT scan at week 0 and 8. Body composition (body weight, body mass index; BMI, body fat, waist circum-ference, hip circumference and waist-hip ratio) and blood parameters (fasting blood glucose, insulin, HOMA-R, total cholesterol, HDL-cholesterol, low density lipoprotein (LDL)-cholesterol and triglyceride) and blood pressure were measured at week 0, 4 and 8. Body fat was measured by bioelectrical impedance method. BMI was calculated using height measured at the point of screening. HOMA-R was calculated according to the formula: [blood glucose (mg/dl) × insulin (μU/ml)/405]. Serum levels of HbA1c, adiponectin and leptin were measured at week 0 and 8. For evaluation of safety, blood biochemical parameters (total protein, albumin, total bilirubin, AST, ALT, ALP, LDH, γ-GTP, CPK, free fatty acid, phospholipids, uric acid, BUN, creatinine, Na, K, Cl, Ca, P, Mg and Fe), pulse rate, hematological param-eters (WBC, RBC, hemoglobin, hematocrit, MCV, MCH, MCHC, platelet and leukocyte subpopulations) and urinary parameters (urine protein, urine glucose, urine urobilinogen, urine bilirubin, pH, urine specific gravity, ketone body and occult blood) were measured at week 0, 4 and 8. Each value is expressed as mean ± standard deviation. A paired t-test was used to analyze the changes from week 0 to week 4 and 8. P < 0.05 was considered to be significant. The characteristics of nine subjects (7 male, 2 female) at a point of screening were shown in Table 1. Average BMI and waist circumference were 30.4 and 101.7 cm, respectively. Six subjects (5 male, 1 female) and 3 subjects (2 male, 1 female) were defined as patients and candidates with MetS by Japanese criteria, respectively. Their clinical conditions were not severe as shown in Table 1. All subjects completed the study. Table 2 showed the changes of abdominal fat area. VFA in week 8 (140.2 ± 47.8 cm2) was significantly lower than that in week 0 (165.7 ± 61.0 cm2, p < 0.01). Reduction of VFA was observed in all subjects. The average rate of reduction was 14.7 ± 5.0%. TFA in week 8 (413.0 ± 151.6 cm2) was also signifi-cantly lower than that in week 0 (444.5 ± 165.5 cm2, p < 0.01). However, there was no significance in SFA between week 0 and week 8. The changes in body composition were shown in Table 3. Body weight and BMI in week 4 and 8 were significantly lower than that of week 0 (each p < 0.01 at week 4, each p < 0.05 at week 8). Body fat in week 4 and 8 were significantly lower than that of week 0 (p < 0.05, p < 0.01, respectively). There were no significant differences in waist circumference, hip circum-ference and waist-hip ratio. Table 4 showed the changes of blood parameters and blood pressure. Although no significant differences were observed in any parameters, serum level of LDL-cholesterol in week 4 and 8 tended to be lower than that in week 0 (p = 0.090, p = 0.086, respectively). In addition, serum level of adiponectin in week 8 tended to be higher than that in week 0 (p = 0.065). Table 5 showed the changes of blood biochemical parame-ters and vital signs. Phospholipid and pulse rate in week 4 were significantly lower than those in week 0 (each p < 0.05). Creat-inine and K in week 4 were significantly higher than those in week 0 (each p < 0.05). ALT and Ca in week 8 were signifi-cantly lower than those in week 0 (each p < 0.05). BUN in week 8 was significantly higher than that in week 0 (p < 0.05). How-ever, those changes were within the standard ranges. The changes of hematological parameters were showed in Table 6. RBC and hematocrit in week 4 were significantly lower than those in week 0 (each p < 0.05). MCH and MCHC in week 4 were significantly higher than that in week 0 (p < 0.01, p < 0.05, respectively). MCHC in week 8 was significantly lower than that in week 0 (p < 0.01). MCV in week 8 was significantly higher than that in week 0 (p < 0.001). However, those changes were within the standard ranges. In urinary tests, positive reaction for occult blood was observed in 1 male subject at week 4. However, this case was considered not to be related to ingestion of test sample. No abnormal changes were observed in other urinary parameters. Adverse events were observed in 3 subjects, including tooth-ache (1 subject), sore throat (2 subjects) and nasal mucus (1 subject). These adverse events were considered not to be related to ingestion of test sample. No severe symptom was observed during the study. We evaluated efficacy and safety of Ashitaba, a Japanese traditional vegetable, on the patients and candidates with MetS. In this study, ingestion of Ashitaba green juice for 8 weeks remarkably reduced visceral fat. Moreover, reduction of body weight, BMI and body fat was observed at a point of week 4 and 8. It is well known that the excess of visceral fat, rather than subcutaneous fat, causes diabetes, hypertension and dyslipidemia1). Visceral fat reduction is effective to improve MetS and to prevent atherosclerotic CVD23,24). Therefore, these results suggest that Ashitaba has potential for preventing MetS by reducing visceral fat. Although the mechanism of action on reduction of visceral fat is unclear, Ashitaba may improve visceral obesity by enhancement of adipogenesis and adiponectin production in adipose tissue. Recently, it was reported that thiazolidinediones (TZDs), powerful PPAR-γ agonists, enhanced adipogenesis and improved metabolic disorder. TZDs enhanced differentia-tion of 3T3-L1 adipocytes and increased the number of small adipocytes in obese rats25,26). It was well known that small adipocytes actively secreted adiponectin27). Indeed, adminis-tration of TZDs elevated serum adiponectin and improved insulin sensitivity and lipid metabolism on rats and type II diabetes27–29). In type II diabetic patients, TZDs reduced vis-ceral abdominal fat30,31). We previously reported that chalcones from Ashitaba powerfully enhanced adipogenesis in 3T3-L1 cells as well as TZDs20). In our preliminary study, 3T3-L1 adipocytes differentiated by chalcones clearly expressed adi-ponectin gene and secreted adiponectin protein. We also reported that ingestion of Ashitaba green juice for 12 weeks significantly increased serum levels of total adiponectin and high-molecular type adiponectin compared with chalcone-removed juice on borderline diabetes22). In this 8-weeks study, serum adiponectin tended to increase by ingesting Ashitaba. Therefore, these findings support that chalcones, active com-ponents of Ashitaba, may improve visceral obesity by enhance-ment of adipogenesis and adiponectin production. In this study, LDL-cholesterol tended to decrease with the ingestion of Ashitaba over 8 weeks. We showed that chalcones from Ashitaba exhibited inhibitory behavior against HMG-CoA reductase, a rate-limiting enzyme in cholesterol biosynthesis32). Moreover, we also reported that repeated administration of alcoholic extracts of Ashitaba containing chalcones increased serum HDL-cholesterol and elevated the expression of hepatic genes related to cholesterol transport in fructose drinking rats (unpublished data). Ogawa et al also demonstrated that the extract of Ashitaba increased serum HDL-cholesterol in spontaneously hypertensive rats33). Thus, these findings suggest that chalcones from Ashitaba may be effective against abnormal cholesterol metabolism via multiple mechanisms, although further study is needed to clarify. Ashitaba has been eaten in the Izu islands and Kanto area in Japan for a long time and was reported to be an edible plant on “Yamato honzo”, published in the early 18th century. In this study, no adverse changes were observed in blood biochemical analysis, vital signs, hematological analysis and urinalysis dur-ing test periods. We have already confirmed that alcoholic extracts of Ashitaba have no mutagenicity on bacterial mutagenesis test. In addition, 13 week repeated oral adminis-tration of Ashitaba powder to male and female rats showed no adverse effects on body weight, food consumption, blood bio-chemistry, hematology, urinalysis, ophthalmoscopy, organ weight and histopathology (unpublished data). Further, long-term ingestion of Ashitaba showed no adverse effects on nor-mal and diabetic adults22). 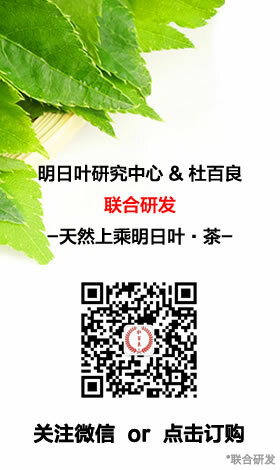 Taken together, Ashitaba is safe foodstuff not only for healthy adults but also for the patients with MetS and diabetes. We conducted human study to evaluate the efficacy and safety of Ashitaba on patients and candidates with MetS. Ingestion of Ashitaba for 8 weeks significantly decreased VFA, body weight, BMI and body fat, respectively. There were no adverse clinical changes in blood analysis and urinary test, and no serious symptom was observed. Although more detailed studies are needed to clarify, these results indicate that it is possible for Ashitaba to be a useful and safe foodstuff for prevention of MetS. 1) Matsuzawa Y, Funahashi T, Nakamura T. The concept of meta-bolic syndrome: contribution of visceral fat accumulation and its molecular mechanism. J Atheroscler Thromb 2011; 18: 629–639. 2) Cornier MA, Dabelea D, Hernandez TL, et al. The metabolic syndrome. Endocr Rev 2008; 29: 777–822. 3) Thielecke F, Boschmann M. The potential of green tea chatechins in the prevention of metabolic syndrome—a review. Phytochem-istry 2009; 70: 11–24. 4) Merritt JC. Metabolic syndrome: soybean foods and serum lipids. J Natl Med Assoc 2004; 96: 1032–1041. 5) Teas J, Baldeon ME, Chiriboga DE, et al. Could dietary seaweed reverse the metabolic syndrome? Asia Pac J Clin Nutr 2009; 18:145–154. 6) Baba K, Taniguchi M, Nakata K. Studies on Angelica keiskei “Ashitaba”. Food Food Ingredients J Jpn (in Japanese) 1998; 178:52–60. 7) Kozawa M, Morita N, Baba K, et al. Chemical components of the roots of Angelica keiskei Koidzumi. II. The structure of the chal-cone derivatives. Yakugaku Zasshi (in Japanese) 1978; 98: 210–214. 8) Baba K, Nakata K, Taniguchi M, et al. Chalcones from Angelica keiskei. Phytochemistry 1990; 29: 3907–3910. 9) Nakata K, Taniguchi M, Baba K. Three chalcones from Angelica keiskei. Nat Med 1999; 53: 329–332. 10) Akihisa T, Tokuda H, Ukiya M, et al. Chalcones, coumarins, and flavanones from the exudate of Angelica keiskei and their chemo-preventive effects. Cancer Lett 2003; 201: 133–137. 11) Aoki N, Muko M, Ohta E, et al. C-geranylated chalcones from the stems of Angelica keiskei with superoxide-scavenging activity. J Nat Prod 2008; 71: 1308–1310. 12) Inamori Y, Baba K, Tsujibo H, et al. Antibacterial activity of two chalcones, xanthoangelol and 4-hydroxyderricin, isolated from the root of Angelica keiskei KOIDZUMI. Chem Pharm Bull 1991; 39: 1604–1605. 13) Park JY, Jeong HJ, Kim YM, et al. Charasteristic of alkylated chalcones from Angelica keiskei on influenza virus neuraminidase inhibition. Bioorg Med Chem Lett 2011; 21: 5602–5604. 14) Kimura Y, Baba K. Antitumor and antimetastatic activities of Angelica keiskei roots, part 1: isolation of an active substance, xanthoangelol. Int J Cancer 2003; 106: 429–437. 15) Kimura Y, Taniguchi M, Baba K. Antitumor and antimetastatic activities of 4-hydroxyderricin isolated from Angelica keiskei roots. Planta Med 2004; 70: 211–219. 16) Okuyama T, Takata M, Takayasu J, et al. Anti-tumor-promotion by principles obtained from Angelica keiskei. Planta Med 1991; 57: 242–246. 17) Shin JE, Choi EJ, Jin Q, et al. Chalcones isolated from Angelica keiskei and their inhibition of IL-6 production in TNF-α-stimu-lated MG-63 cell. Arch Pharmacal Res 2011; 34: 437–442. 18) Murakami S, Kijima H, Isobe Y, et al. Inhibition of gastric H+, K+-ATPase by chalcone derivatives, xanthoangelol and 4-hydroxyderricin, from Angelica keiskei Koidzumi. J Pharm Phar-macol 1990; 42: 723–726. 19) Matsuura M, Kimura Y, Nakata K, et al. Artery relaxation by chalcones isolated from the roots of Angelica keiskei. Planta Med 2001; 67: 230–235. 20) Enoki T, Ohnogi H, Nagamine K, et al. 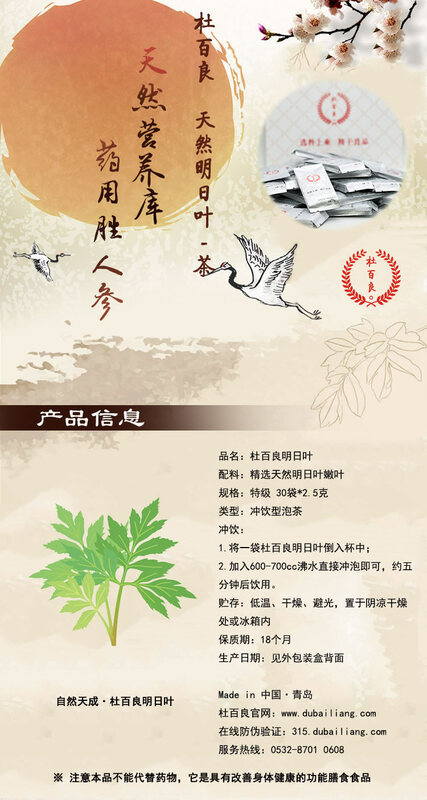 Antidiabetic activities of chalcones isolated from a Japanese herb, Angelica keiskei. J Agric Food Chem 2007; 55: 6013–6017. 21) Enoki T, Ohnogi H, Kobayashi E, et al. Anti-diabetic activities of chalcones derived from Ashitaba. Nippon Shokuhin Kagaku Kogaku kaishi (in Japanese) 2010; 57: 456–463. 22) Ohnogi H, Enoki T, Hino F, et al. Antidiabetic effect and safety of long-term ingestion of “Ashitaba” (Angelica keiskei) powder con-taining chalcone (4HD) on borderline mild Hyperglycemia. Jpn Pharmacol Ther (in Japanese) 2007; 35: 647–660. 23) Ryo M, Nakamura T, Funahashi T, et al. Health education “Hokenshido” program reduced metabolic syndrome in Amagasaki Visceral Fat Study. Three-year follow-up study 3,174 Japanese employees. Intern Med 2011; 50: 1643–1648. 24) Kishida K, Funahashi T, Shimomura I. Clinical significance of visceral fat reduction through health education in preventing ath-erosclerotic cardiovascular disease—Lesson from the Amagasaki Visceral Fat Study: A Japanese perspective. Nutrition & Metabo-lism 2011; 8: 57. 25) Ohsumi J, Sakakibara S, Yamaguchi J, et al. Troglitazone pre-vents the inhibitory effects of inflammatory cytokines on insulin-induced adipocyte differentiation in 3T3-L1 cells. Endocrinology 1994; 135: 2279–2282. 26) Okuno A, Tamemoto H, Tobe K, et al. Troglitazone increases the number of small adipocytes without the change white adipose tissue mass in obese Zucker rats. J Clin Invest 1998; 101: 1354–1361. 27) Maeda N, Takahashi M, Funahashi T, et al. PPAR-γ ligands increase expression and plasma concentrations of adiponectin, an adipose-derived protein. Diabetes 2001; 50: 2094–2099. 28) Tonelli J, Li W, Kishore P, et al. Mechanisms of early insulin-sensitizing effect of thiazolidinediones in type 2 diabetes. Diabe-tes 2004; 53: 1621–1629. 29) Miyazaki Y, Mahankali A, Wajcberg E, et al. Effect of pioglita-zone on circulating adipocytokine levels and insulin sensitivity in type 2 diabetic patients. J Clin Endocrinol Matab 2004; 89: 4312–4319. 30) Kelly IE, Walsh K, Han TS, et al. Effects of thiazolidinedione compound on body fat and fat distribution of patients with type 2 diabetes. Diabetes Care 1999; 22: 288–293. 31) McLaughlin TM, Liu T, Yee G, et al. Pioglitazone increases the proportion of small cells in human abdominal subcutaneous adi-pose tissue. Obesity 2010; 18: 926–931. 33) Ogawa H, Nakashima S, Baba K. Effects of dietary Angelica keiskei on lipid metabolism in stroke-prone spontaneously hyper-tensive rats. Clin Exp Pharmacol Physiol 2003; 30: 284–288.